If you’ve been venue hunting recently, you’ve probably been faced with the confetti dilemma. The problem is that many wedding venues, Birtsmorton Court included, no longer allow paper confetti and whilst this might not seem like a really big issue to some people, to many the idea of your guests throwing something at your face the moment you’ve been declared as husband and wife, is an essential way to get your celebrations started. Well fear not, we’re here to help. 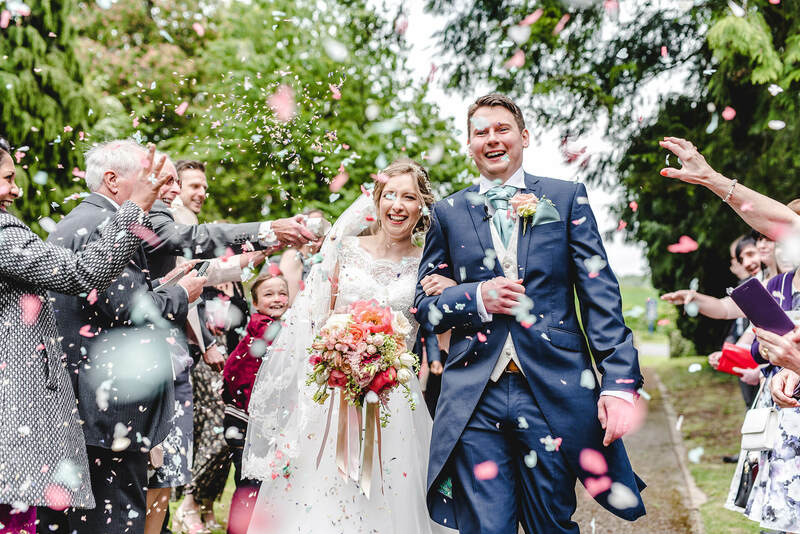 Before confetti became popular, it was common practice in England for guests to throw rice over the couple as they left the congregation to start their new life as husband and wife, a tradition that dates back hundreds of years. The rice was to symbolise good fortune in fertility and harvest, which would be a lovely concept, if it weren’t for the fact that having fistfuls of rice chucked at you relentlessly must have been kind of painful. It wasn’t long before people looked to Europe for a better idea and the prettier French tradition of small coloured paper discs was introduced. All hail confetti! Like so many other West Midlands wedding venues, we have a love / hate relationship with confetti. 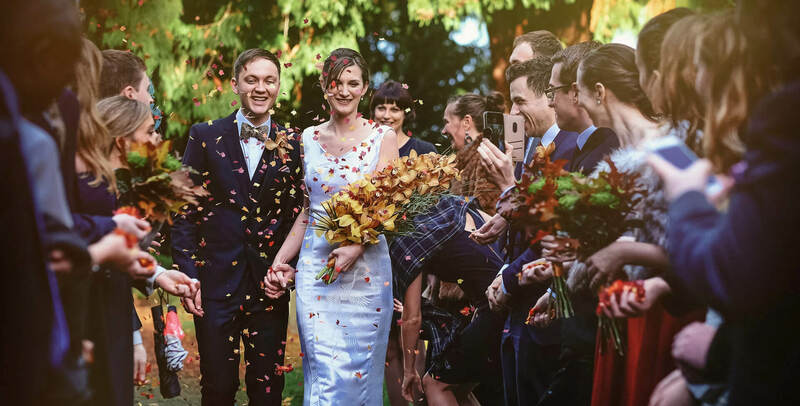 As wedding fanatics, we loved seeing the bright, happy photos as couples wince their way through a confetti line-up. 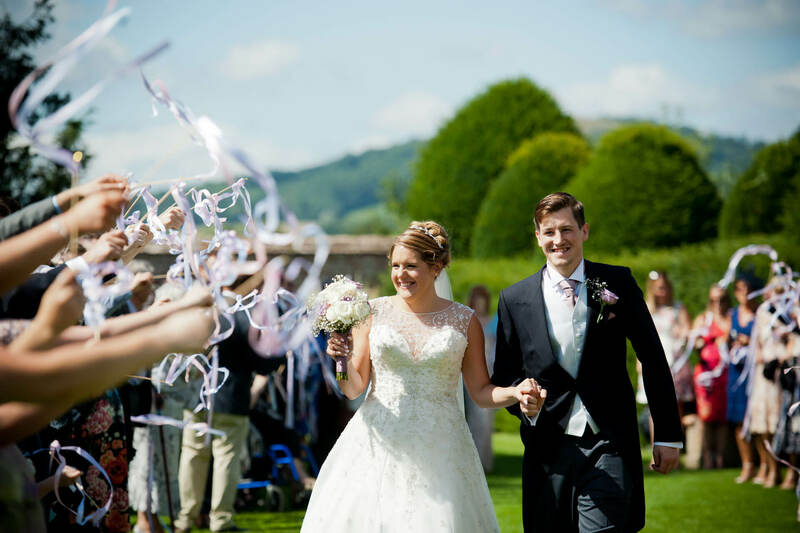 However, after seeing the impact that it had, not only on the immaculately kept grounds at our picturesque West Midlands wedding venue, but also on the beautiful local wildlife that we are so lucky to have on our doorstep, the idea to go confetti free was an idea we all supported. And really, who wants confetti when you have a moat… with actual swans?! Paper Aeroplanes. This was the first alternative to the confetti photo that got my attention. A bride and groom descending down the aisle with big smiles on their faces as paper aeroplanes dart around their heads making them look effortlessly cool, yes please! And what a treat for your guests to find on their chairs as they take their seats for the ceremony, paper aeroplanes are fun at any age! You can have any colour, style or size you want. You can personalise them or use them as the Order of Service first, the options are endless… Just try to avoid getting one in the eye. Bubbles. Need I say more? Do you remember how exciting bubbles were when you were five years old? How amazing these floating, transparent balls were, that just popped when you touched them, like magic? Well, now that you’re an adult, why not capture a bit of that magic, by walking arm in arm as bubbles pop around you and everyone cheers. Hello post-wedding Instagram post! Autumn wedding? – Autumn leaves. They are bright, colourful, beautiful and in endless supply. They are also free, there is literally no down side to this. All you have to do is take a walk a week or so before your wedding, fill as many bags as you can, leave them somewhere warm for a couple of days and voila! Instant autumnal confetti! Sparklers. It’s like the anti-confetti shot, instead of blue sky, its dark and instead of bright, vibrant colours, its pure white light. Sparkler photos are becoming a tradition in their own right and it’s easy to see why. They’re excellent and usually towards the end of the night, and people love fire, especially after a few beers! There are more options of course, pom poms, bird seed, streamers, even beach balls! So if you find yourself facing the hard truth that you can’t use confetti, or if you just don’t want it. Don’t get sad, get creative!